People like to see stats associated with a list of some sort. Smart Asset took several stats, weighed them, and then gave a ranking to each state based on those stats. The stats themselves were terribly flawed, and the weighing of those stats is always going to be subjective. Let's look at the stats used. I WANT more Floridians to be insured. It's a state law, and my rates would go down if those folks were insured. However, lack of insurance does not necessarily make an individual a WORSE driver. It might make them more careful even. I don't know, but unless there's a correlation between lack of insurance and more accidents per capita, then it's a flawed stat to use in assessing the nation's worst drivers. Again, this is misleading. Florida has a higher rate of police per 1000 people than many other states. It also has a history of ticket quotas. Maybe it uses more of those DUI checkpoints. Vermont has TEN TIMES the DUI arrests of Florida. Delaware has ten times less than Florida (along with the highest death rate per 1000 drivers on the list). The bottom line is that DUI ARRESTS have little to do with safe drivers. Rather, the rate at which people actually do drive while intoxicated likely does play a role. But those aren't the stats we're given, so another stat that's irrelevant. Honestly, I'd publish these stats and call it a day. Or maybe non-fatal accidents per 1000 drivers, too. Drivers are in accidents generally because of driver error, either their own or someone else's. Even if you hit a deer in Delaware, it's still your fault. Florida is not among the highest in the country for vehicular deaths per 1000 drivers (according to their stats), yet Smart Asset ranks it #1 in worst drivers. 4. Google Trends "Driving Ticket"
This is about as bad as it gets. Florida has a problem with tickets, which news outlets and police departments have acknowledged. Even if there were no quotas, and even if Floridians got more driving tickets than any other drivers in the nation, it still does not make them bad drivers. The Google trend for "Alligator" is likely higher in Florida than anywhere else on earth. Does that mean we're all getting attacked by alligators a lot? Yes 4 of 6 alligator attacks resulting in deaths from 2010 to 2016 were in Florida, but that's still only four. A better stat would be actual number of driving tickets issued. But even better than that would be speeding tickets issued for a certain MPH above the posted speed limit. Or speeding that led to an actual accident. When I lived in Wisconsin, we always talked about how bad Illinois drivers were (neither of those states made the top 25). Illinois drivers were more aggressive, speeding past us at 100 MPH on the 65 MPH roads, never signalling lane changes, and generally making conservative WI drivers nervous. Those drivers probably Googled "Speeding Ticket" a lot while at the Northern Wisconsin lodges. I'd assume there are many "Speeding Ticket" searches conducted at Florida hotels, too. To be sure, tourists are bad drivers in any state, and Florida does have its share of tourists. Crashes and deaths are better stats than searches for speeding tickets on Google. 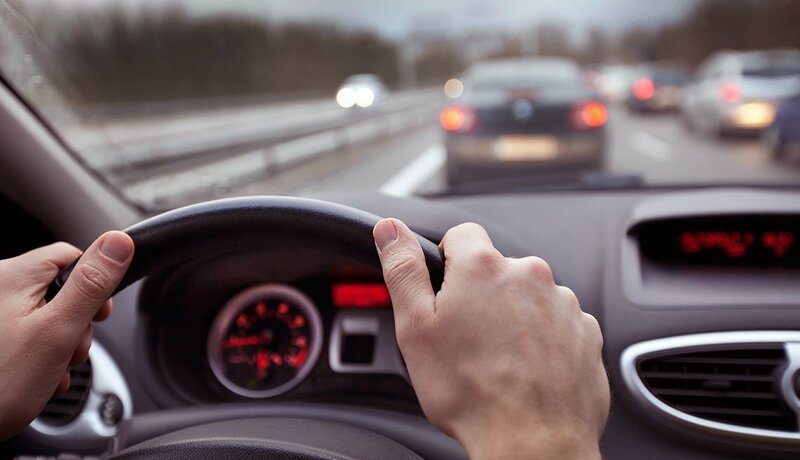 According to the Insurance Institute for Highway Safety (2015), Florida ranked 12th in the nation for deaths per 100,000 population and 9th in the nation for deaths per 100 million miles traveled. States that were WORSE than Florida in both of these stats: South Carolina, Montana, Mississippi, Kentucky, Arkansas, Wyoming, Louisiana, and South Dakota. Keep in mind that Florida ranked #1 in worst drivers for that year on Smart Asset, too. One can also see how many fatal crashes involve alcohol for many states, with Alaska coming in at #1. Florida registered 27% of fatal crashes involving DUI in 2015 (NHTSA). That's 2% BELOW the national average, which means DUI arrests are not necessarily correlated to DUI crashes. You'd want to assume that more such arrests limit the DUI crashes and make the roads safer, but that's not how Smart Asset used the numbers. You can find out what types of fatal crashes occur by percent, too, including ones involving bicycles or pedestrians (Florida's in the top 10 of these). But when you start digging into the more in-depth numbers, you might start to see that Florida's bad drivers are bad in certain ways. For example, a total of 48% of people killed on Florida roadways are occupants of cars, SUVs, or pickups. That's low compared to other states. But Floridians kill bicyclists and pedestrians at a higher rate than most other states. Still bad driving, but with a possible solution. And a study should be used to help find solutions to problems, not just list who has them. Non-fatal crashes should count, too. However, I don't have access to those stats. In fact, I'd say that non-fatal crashes are probably more indicative of what we think of as bad drivers. Getting sideswiped or getting into fender-benders show inattentive driving, while fatalities and drunk driving show the extremes. News outlets in Florida, that's what you should have done: find out the number of fatal and non-fatal accidents per capita in each state, which would likely indicate which state has the worst drivers. Then you'd be reporting news. Aggressive Drivers - Not to the extent of those from Illinois (Chicago), but still more aggressive than those in Milwaukee or Kansas City. Does this make them the worst drivers in the country? No, but it's been noted, and I'm uneasy as a pedestrian here. Planned Developments - I mention these because Jacksonville has abandoned the grid pattern in street design. This means that your neighborhood street is probably fairly safe, but it makes the main thoroughfares more dangerous. More traffic jams and less options, which probably helps lead to some of the aggressive driving. Speed on Surface Streets - In Milwaukee, people (even those not from Illinois) drove faster on the expressway, but they tended to slow down on surface streets, maybe because there seemed to be more lights and more of a grid. Here, people seem to take it a bit easier on the expressway but speed on the surface streets, maybe wishing there were more freeway lanes. In Kansas City, it seemed like people went too fast on main surface streets and the expressway, but speed is not always indicative of bad driving, and it can be done without being overly aggressive. Shoulders - All streets in Milwaukee seemed to have a parking lane, or shoulder. I assume this is partially because of the need to pile snow somewhere in the winter, but it makes driving so much safer, at least for right turns. When people are speeding along on a surface street at 50 MPH, it's hard to stop for someone who quickly decides to turn into a parking lot. Guns - I know it's just me, but being from Wisconsin, a state that had outlawed concealed weapons until recently, I never worried all that much about the driver next to me having a gun. This changed in Kansas, where I assumed everyone had a gun. Similar in Florida. Again, this is another factor that does not make drivers worse than anywhere else, but it does help me decide how I react to mistakes of other drivers. Both KC and JAX has a higher percentage of giant pickup trucks, too, and I am often driving in a two-seat convertible, so I have no road rage to share. Crosses/Death Markers - I am sorry, but I really dislike the markers showing deaths on the roads in Jacksonville. I'm not sure if it's a state thing or a city thing, but I just don't like it. I remember driving through South Dakota as a child and seeing these, and I was always terrified my family would be next or that I'd see the ghosts of those who lost their lives in that spot. Also, since I traveled through SD over 20 years ago and the state is still one of the worst for road deaths, the crosses don't work. Flawed Rankings and Reporting - Yes, the rankings that tell us we're bad drivers can lead to a self-fulfilling prophecy of sorts. If I had not independently researched this topic, I would write off every decision another driver here makes as proof of what I thought, kind of like I did with Illinois drivers and Missouri drivers. The water study that says Jacksonville has the worst water in the country was flawed, but it tastes bad to me, so I have a filter, and I've heard plenty of locals cite the study as proof why they don't drink it. In fact, there was another study done to research how much people would spend in Jacksonville to avoid drinking the water. In the end, we have an flawed ranking system that says Floridians are the worst drivers in the nation, along with news outlets that are a bit lazy in covering that "fact." I am totally in favor of the free press, but this is an example that shows how it can be manipulated, which in turn manipulates the people. And the people who know the most about the worst drivers? The auto insurance companies. The highest rates are in Louisiana, Oklahoma, Michigan, West Virginia, Washington, D.C, Montana, Rhode Island, and Wyoming. And there's a (highlighted) correlation between high insurance rates and deaths in accidents.